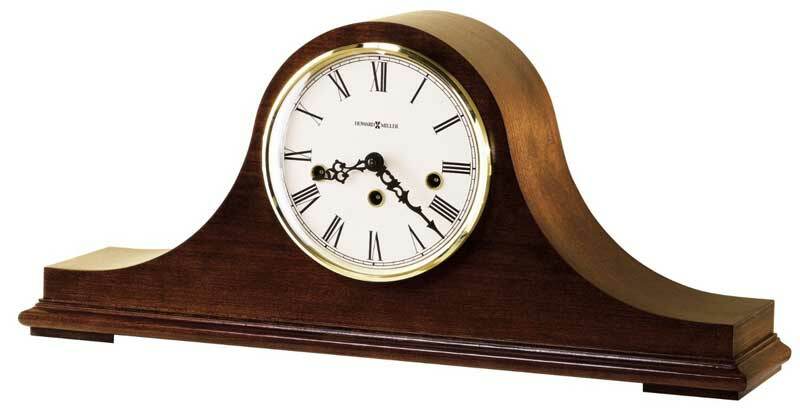 The Howard Miller Mason 630-161 is a tambour-styled mantle clock with Windsor Cherry finish on selected hardwoods and veneers. 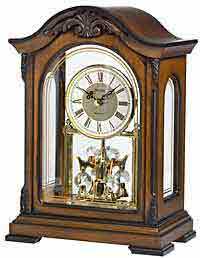 The special inscribed dial is off-white with a brass finished bezel and Roman numerals. German made Kieninger Key-wound Westminster chime movement requires winding only once per week. Chime on/off lever and durable bronze bushings. 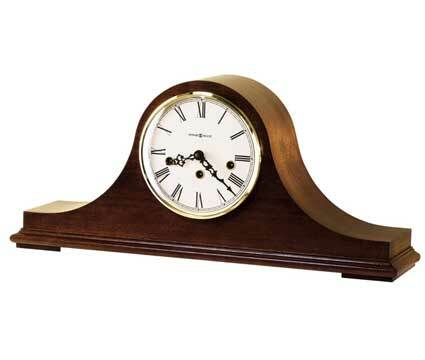 Clocks for sale at The Clock Depot including the 630-161 at discount prices.